James B. Lee Jr., a Vice Chairman of JP Morgan Chase, died at the age of 62. The American investment banker died of a heart break after completing his workout at his home in Darien, Connecticut. Lee, known as Jimmy, acted as the behind-the-scenes adviser to the world's top corporate chieftains, hatching mergers and public offerings for companies. He had a brief presence in the lives of business magnets like Rupert Murdoch of the News Corp. and Jeffrey Immelt of General Electric. London, Oct. 26 - American bank JPMorgan (JPM) has agreed to pay 5.1 billion dollars to resolve the U. S. Federal Housing Finance Agency (FHFA) claims that it misled mortgage giants Fannie Mae (FNMA) and Freddie Mac about risky mortgage securities before the housing market collapsed. The bank added that the agreement relates to approximately 33.8 billion dollars of securities purchased by Fannie Mae and Freddie Mac from JP Morgan, Bear Stearns and Washington Mutual from 2005 - 2007, the BBC reports. Ian Hannam, a senior JP Morgan executive was subjected to a criminal offence initially by the financial regulators, it has been revealed. The Financial Conduct Authority (FCA) as well as its predecessor, the Financial Services Authority (FSA) believed that Mr Hannam may have committed a criminal offence and conducted criminal investigations. The investigations have revealed that Mr Hannam has not committed criminal offenses in the matter involving the financial giant's behaviour in the financial crisis. The largest lender by assets in the US, J. P. Morgan Chase & Co has said that is planning to get out of its student loans business. Following the exit of the bank on 12 October, 2012, Wells Fargo & Co will be the only major financial institution in the US offering student loans. Several banks have been leaving the student loan market since Obama administration indicated that it is focusing on lending directly to the students. The share of banks in the 1 trillion student-loan market has contracted significantly in the country. US financial giant, JP Morgan has been ordered to pay a total of $50 million in damages to Russian billionaire Leonard Blavatnik after losing a claim for damages. Mr Blavatnik filed the claim against the financial company after suffering losses resulting from the US subprime mortgage market. New York judge Melvin Schweitzer has ruled that JP Morgan has breached he terms of the contract with Mr Blavatnik's investment fund. 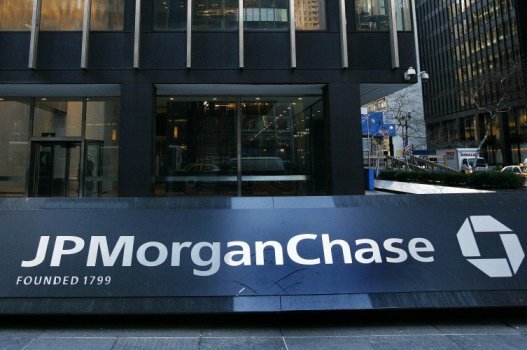 The US Justice Department has launched a new investigation against J. P. Morgan Chase over its energy sector dealings. The move comes as the bank already faces several legal challenges from regulators. J. P. Morgan has agreed to pay $410 million to settle allegations raised by the Federal Energy Regulatory Commission that the bank was involved in manipulating markets in California and the Midwest. The nation's largest bank by assets did not admit any wrong doing. The British government has appointed JP Morgan Cazenove as the partner for strategic advice for a stake sale in Lloyds and Royal Bank of Scotland. Chancellor George Osborne has indicated that the government will soon start selling its holding in the Lloyds Banking Group. It is not know as to how much of the Government’s 39 per cent stake in the bank will be sold. Some suggest that the government might sell 10 per cent stake, which is valued at about £17 billion, in the bank within this year. As per recent interviews of several market experts on business news channel CNBC-TV18, majority of market experts are expecting NSE Nifty to cross 6000 level by Diwali. JP Morgan has announced today that due to economic issues in Eurozone and fiscal cliff in United States, the emerging markets could see fund inflows. The returns from the emerging markets are expected to be better and this would result in more investments in Indian market as well. KRChoksey's Deven Choksey expressed that Indian market should see upside move from current levels. Economic fundamentals in India have worsened over the past months but brokerage firm JP Morgan is still "positive" on the Indian stock markets. The economic fundamentals have deteriorated over the recent past due to a number of factors, including the government's inability to move ahead with reforms, poor monsoon and increase in crude prices. The chief investment officer of JPMorgan Chase, Ina Drew, who was overseeing the department behind the global bank’s shocking $2 billion trading loss, has stepped down. Drew was managing the division that made bets which could result in a further $1 billion in losses. Matt Zames, head of fixed income at JP Morgan's investment bank, who earlier worked as a proprietary trader, will replace her as the bank’s next chief investment officer. JPMorgan Chase said today in its report that four major banks, including the Commonwealth Bank of Australia, could reduce lending in the residential property sector. The banks are considering this move to reduce their levels of exposure to the increasingly lower profit sector. JP Morgan said in its mortgage industry report, released today, that the speed at which residential mortgages were sold during the past year and a half cannot be sustained. In a stunning revelation by a court-ordered investigation, it has come to light that JPMorgan Chase and Citigroup helped script the downfall of Lehman Brothers Holdings - the biggest bankruptcy in the US corporate history by demanding more collateral and changing guarantee agreements. "The demands for collateral by Lehman's lenders had direct impact on Lehman's liquidity," said Anton Valukas, the officer investigating the bankruptcy in a Manhattan federal court. Having a tough time paying back $71 billion of taxpayers' money, Royal Bank of Scotland Group Plc is in talks with JP Morgan to sell non-North American units of RBS Sempra Commodities LLP for about $1.7 billion. While RBS will have some money to payback the government, the acquisition will help JP Morgan to expand its energy and metals trading units. It is said, though, JP Morgan - the second biggest US lender, was initially in talks for the North American unit, but it backed down as it is unclear whether the Volcker Rule will ever become law. JP Morgan likely to acquire RBS Sempra units excluding U.S.
JP Morgan has recently dropped the idea to buy RBS Sempra, the American division of RBS and a joint venture between Royal Bank of Scotland and Sempra Energy. This decision is seemed to be taken as the reaction of President Barack Obama’s proposal to ban banks from engaging in proprietary trading. The bank is refusing to buy the U. S. gas and power activities because of President Barack Obama’s plans to curb proprietary trading. In contrast JPMorgan Chase & Co. may now acquire some of Royal Bank of Scotland Group Plc’s Sempra Commodities stake while excluding its U. S. activities. Speculations are that the banking and finance giant JP Morgan might be seriously considering dropping pans of building a new 1.5 Billion Pounds headquarters in London, mainly on the back of the Government's new bonus tax and much tougher than before City regulations. Chief Executive of JP Morgan, Jamie Domin has supposedly expressed much anger at the latest 50% tax on bonuses which the Government has decided it will impose, with the aim to curb the amount of bonuses that particularly financial institutions pay to their top management. Also, Mr. Dimon is reportedly much concerned about the Financial Services Authority's probe into executive pay.